This candid conversation will centre around Louise’s personal journey as a Kamilaroi woman and leader, including her experiences as the ACT’s first Aboriginal judicial officer. 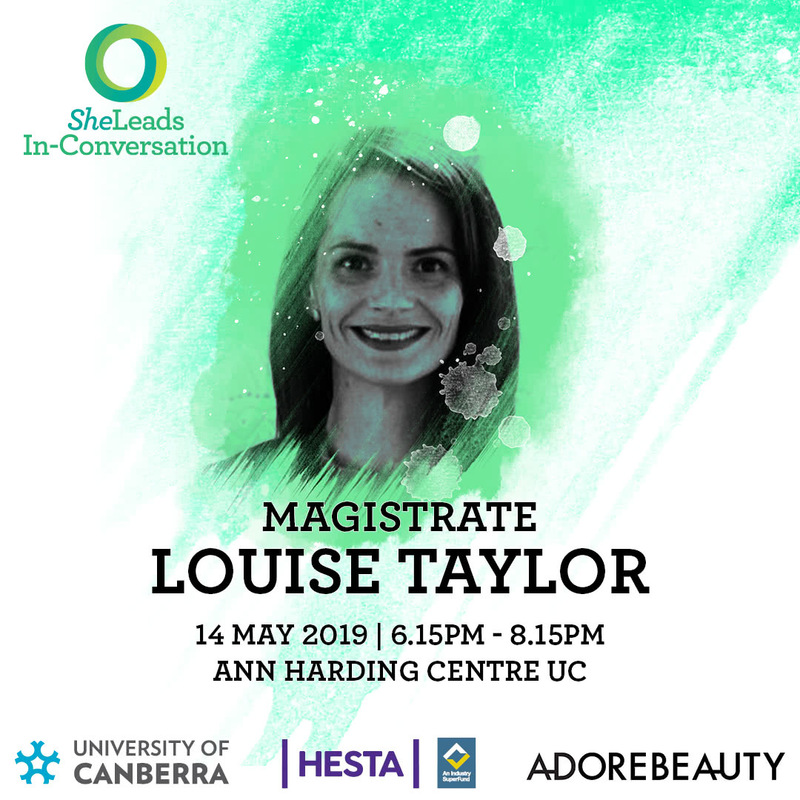 Louise will discuss her history in criminal prosecution and defence, her active contribution to the ACT community through various volunteer roles as well as her commitment to providing access to justice for women, particularly for Aboriginal and Torres Strait Islander women. Magistrate Louise Taylor is a Canberra lawyer who has practised almost exclusively in the area of criminal law since her admission in 2001. Louise is a proud Kamilaroi woman born and raised in inner-city Sydney. Louise has a particular interest in women’s issues especially in relation to family, domestic and sexual violence and is passionate about the importance of access to justice for women, particularly for Aboriginal and other marginalised women. For a significant portion of her career, Louise was a specialist Family Violence prosecutor at the Office of the ACT Director of Public Prosecutions under the auspices of the award-winning ACT Family Violence Intervention Program. Louise is a long-time former Convenor of the ACT Women’s Legal Centre, a past member of the ACT Domestic Violence Prevention Council and former Chair of the ACT Ministerial Advisory Council on Women. Louise was the 2009 recipient of the ACT International Women’s Day Award. Louise is a member of the Law Council of Australia’s Indigenous Legal Issues Committee and an associate of the UNSW Indigenous Law Centre. Louise was formerly the Deputy Chief Executive Officer of Legal Aid ACT and was the first Aboriginal judicial officer appointed in the ACT. She Leads In-Conversation events aim to provide the community with the opportunity to hear from women leaders from different backgrounds and industries, in a conversational format, followed by a live Q&A session and networking. Men are actively welcomed to attend. In Conversation with Magistrate Louise Taylor will be at the Ann Harding Conference Centre, University of Canberra on Tuesday 14 May 2019 from 6:15–8:15 pm. The cost is $40 for YWCA Canberra members and University of Canberra students and $55 for non-members. So, gather a couple of friends and colleagues, and purchase your ticket now! Please note that parking at the University of Canberra is free from 6pm onwards, and there is a range of alternative transport options available (see the University’s transport page). Photographs will be taken at this event. If you do not wish to have your photo published, please contact the She Leads team at sheleads@ywca-canberra.org.au.